Planning, design and phased construction of a 303 lot residential strata development. 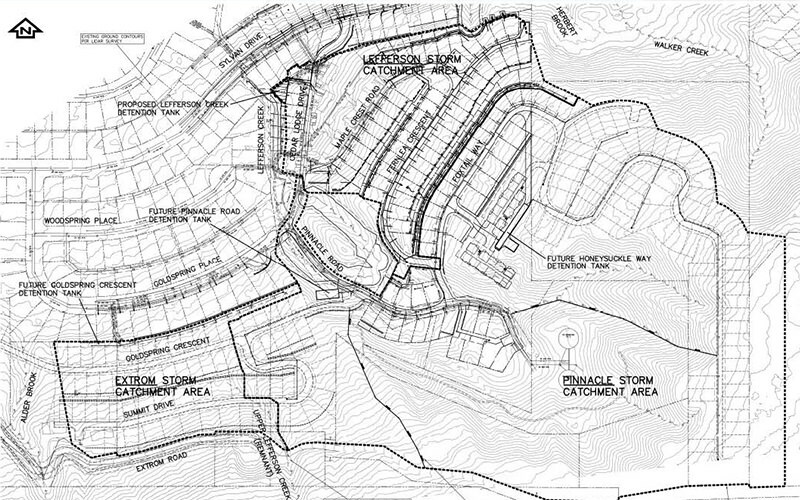 We were contracted by a local development company to provide civil engineering services related to the planning, design and phased construction of Goldspring Heights — a 303 lot residential strata development in Chillwack, BC. Extensive earthworks, including lot grading and retaining walls.